over 100 million books in print available in more than 70 countries - Imagine That! From the author of the US smash hit series Warriors, confident readers will be enthralled to follow the dog packs as they learn to survive and thrive in a world without human masters. An action-packed series with authentic canine voices that will grip, excite and entertain in equal measure. 'The Empty City' begins with the Big Growl, an earthquake that leaves towns and cities in ruins and dogs without their masters. Lone Dog Lucky must find a pack in order to survive! Now it's time for dogs to rule the world! No.1# New York Times Bestselling author. Over 100 weeks on bestseller list. 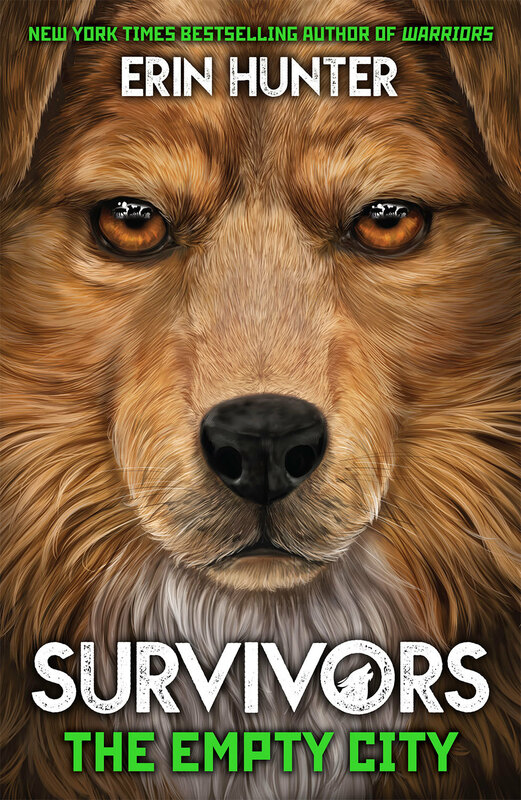 Fans of Spirit Animals, Wings of Fire and Warriors will love Survivors! Erin lives in the UK and is the author of the Warriors, Seekers, Survivors, and Bravelands series. Erin Hunter is actually six people! She is experienced children's book writers Kate Cary, Cherith Baldry, Tui Sutherland, Gillian Philip, Inbali Iserles and Victoria Holmes. Together the animal-loving team have created some of the most popular children's fiction series in the world, including the New York Times best-selling Warriors series.